So I’m not insanely anti-this book, but I wouldn’t recommend it. But then maybe I’m wrong? So I guess count me as number two? It’s a “post-9/11” book, set in the autumn of 2001, but for most of the book the reader can’t really tell when or where it’s happening. I felt that the narrator and main character, 20-year-old Tassie, has the internal voice and eyes of someone much older (this reviewer agrees). The themes were all good – but overall they just felt a bit too contrived. 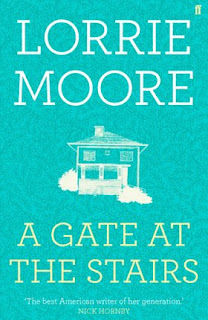 Moore comes from a background of short story writing, which is apparent in the style of her prose. It’s powerful…but almost too powerful to sustain a novel.